How are we going to clean up the Gulf oil mess? Easy. With waste material from power plants, of course. Oh, and it's a certifiably eco-friendly method. 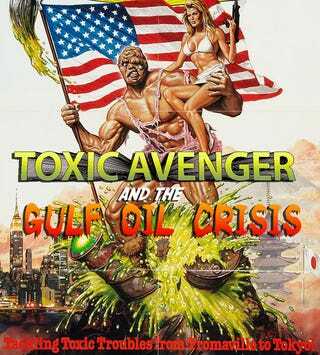 That's right: we're finally getting a real-life toxic avenger. The material, called flyash, will absorb the oil that's coating the waters of the Gulf, which can then be transported to a coal-burning facility for re-use. That means that not only will the oil be cleaned up, but it also won't go entirely to waste. The same applies to any oil that's already been washed up on the shore.